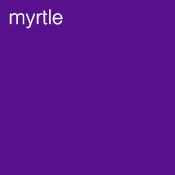 Myrtle essential oil is a pale yellow colour and its common method of extraction is steam distillation from the leaves or twigs. Good for stress, nervous tension, fear of illness or death. Sacred plant of the goddess Aphrodite – victors at the Olympic Games were often crowned with myrtle leaves. Used in 16th century ‘angel’s water’. The leaves and flowers used to be used in skincare. 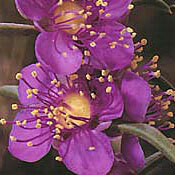 In Italy and Greece myrtle was used to make a cough syrup for children with colds . Myrtle is most commonly grown in Corsica, France and Spain. Blends well with Black pepper, Clary sage, Ylang Ylang, Rosewood.